Do you own your own business? Perhaps you have a business partner or partners and maybe each of you plays a critical role in making your business successful. If so, you may want to consider Key Person Insurance for your business. This type of life insurance can go a long way as a safeguard for your succession plan. So, today let’s take a few minutes to outline key person insurance. In your lifetime you might have witnessed a business suffer demise after one of the owners suddenly died. Maybe it was a family restaurant, a country inn, a plumbing business or even an artisan business where the owner served not only as the CEO, but was responsible for keeping the books, hiring and managing any employees, and working directly with most customers. While we have often written about a business’ commercial insurance considerations, it is important to understand who qualifies as a “key person.” Consider a “key person” (formerly often referred to as “Key Man”) could be the CEO, COO, or even your leading sales person or engineer. Also, many businesses will not only consider Key Person Life Insurance (both term insurance and universal or whole life), but also Key Person Disability Insurance. At this point, readers may wonder why every business wouldn’t consider this type of coverage. It seems many businesses fail to consider Key Person Insurance. In fact, in 2007 the National Association of Insurance Commissioners (NAIC) surveyed businesses on this very question. The survey found that while 60% of Americans have personal life insurance, 71% of small businesses depend on one or two individuals for the business’ success, yet only 22% of American business owners have key person life insurance. 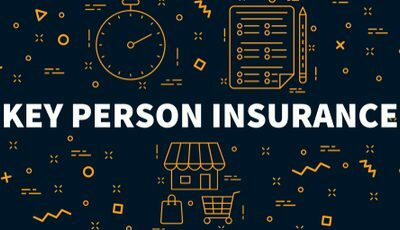 A Key Person Insurance policy is purchased by the business, the premiums are paid for by the business, and it is the business that is the beneficiary should the key person die or become disabled. The Small Business Administration (SBA) or banks may require key person insurance for the business to obtain a business loan. Business owners should get counsel from their tax accountants to assure they are adhering to The Pension Protection Act of 2006 as it applies to key person life insurance policies. Remember, our expert staff is here to educate you on the different types of commercial insurance and help customize a policy to meet your budget and protect your thriving business.